The steps of design and analysis are intricately concerning in the Structured Analysis and Design Technique methodology. Several interviews are undertaken, via which knowledge can be acquired and experience from earlier designs enhanced. 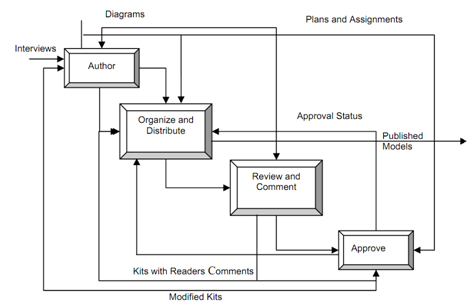 The activity diagram illustrated in following figure specified a description of this procedure. While the analyst has decomposed the system to a level that answers the questions initially set, after that the model is adequate for his causes.